2. Fill the tank with 85 liters of tap water. 4. Then add 10 liters of eOxide component B to the water. 7. Stir the tank one time. 8. 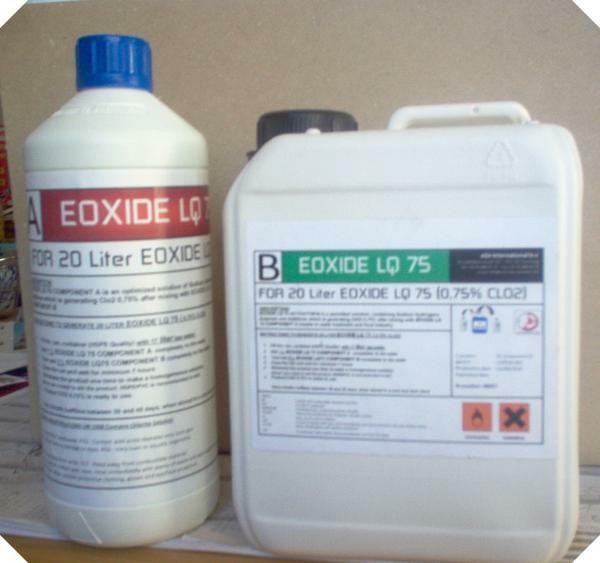 EOXIDE 0.75% ClO2 is ready to use. Use this link to view the PDF download.